I first visited Singapore in 2012 and it was my first trip outside Philippines and after that, it has always been my favorite place to visit whenever I fly home. It is one of the most visited cities in Southeast Asia and is also known for its futuristic architecture. 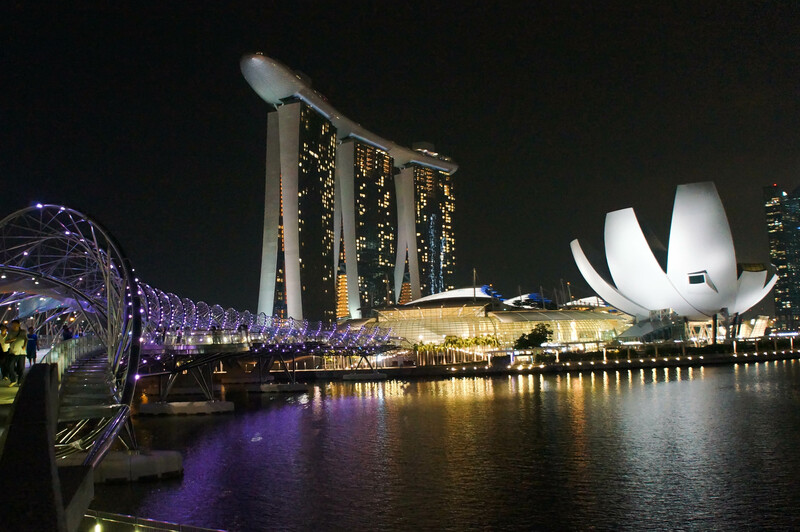 It is the Home of Marina Bay Sands and the famous Merlion. One of the things I like to do in Singapore is to eat (who doesn’t?) although it is one of the most expensive cities I’ve been to. A meal will cost you $10-$15 in a normal restaurant. But as always, try to eat like locals! There are many hawkers around the city. Hawker food is extremely cheaper than in commercial restaurants. An old saying goes, “Big things come in small packages”, that is Singapore for me. It is just a small city with a land area of 715 square kilometres but there are so many attractions in it and it is so easy to go around because of their accessible public transportation. A trip for 3 days in SG will be enough to cover everything. But of course, the longer the better. It’s one of the fastest developing cities in the world and is known for its obsession in world records. They hold the record for the tallest building to largest shopping mall, the city has a never-ending list of world records. Skyscrapers and massive highways, makes Dubai one of the most modern cities around the globe. Love shopping and everything lavish? If yes, it’s the perfect place for you. You might want to try to shop in the biggest mall, the Dubai Mall. Dubai has many sale seasons in a year which makes shopping a hobby. If you don’t like shopping on the other hand, there are still plenty of things to do in Dubai. 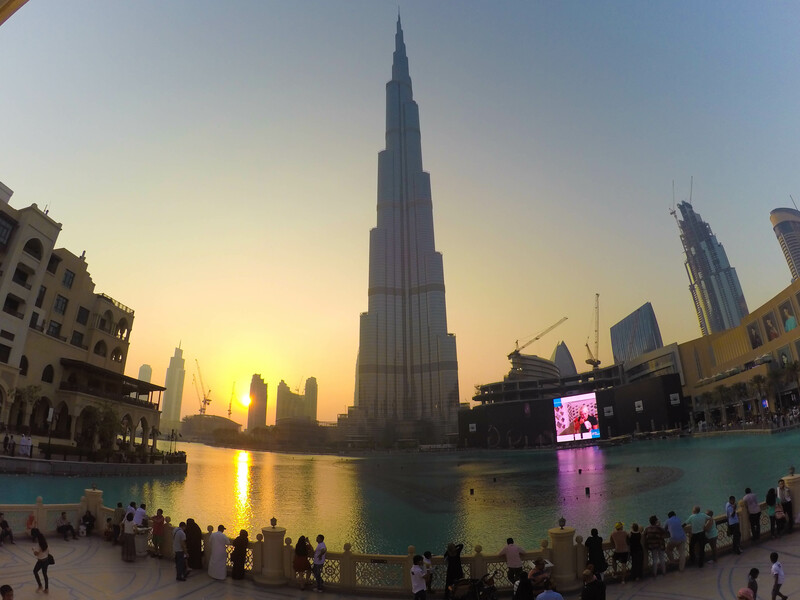 Skydive at the famous man-made island (The Palm), dine at the world’s only 7-star hotel (Burj Al Arab), or simply take a selfie with the tallest building (Burj Khalifa) while watching the Dubai Fountain (my favorite) and the list just goes on and on. Dubai the only open city in the Middle-East which attracts millions of tourist. For expats (like me) living in UAE, one thing that I like most in this place is that everything is within your reach. When it’s hot outside and you need eggs for breakfast? All you need to do is dial the number of the nearest store or even the store down your building and they will deliver it at your doorstep with no additional charge. No time to visit the bank or to pay your bills? Let your mobile banking work for you. Almost everything can be done online. That’s how first-world country is like. By the way, Dubai has drive-thru ATM too (how cool is that?) so no need to worry where to park when you withdraw cash. Dubai is my home away from home. First, Eiffel Tower. Do I need to say more? Paris has always been a good idea. 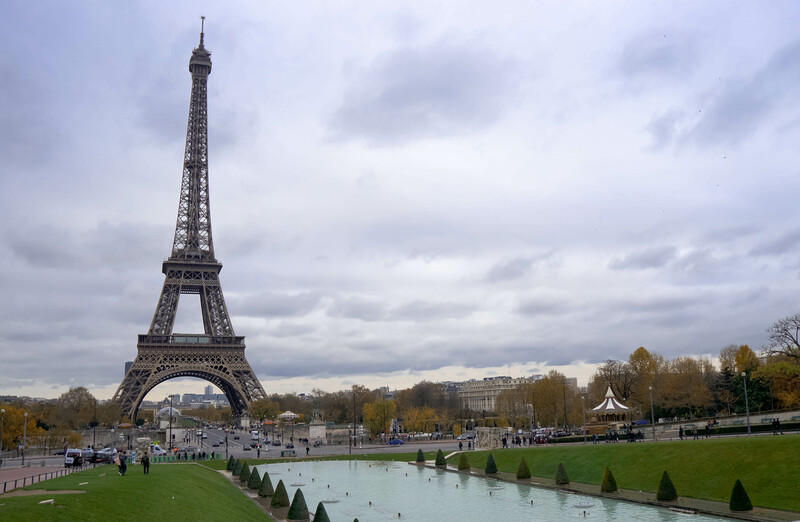 Winding your way through the cobblestone streets, famous Parisian buildings, Gothic cathedrals and Champs-Elysees will literally make you fall in love with the city. It is also the home for many artifacts such as the famous Mona Lisa and Aphrodite. Paris is known for being a romantic city. A place for lovers, girls dreaming to get engaged and married in front of the Eiffel Tower. No partner? No problem! Don’t let that stop you from considering Paris. You don’t need one to appreciate the beauty of this place. Who would not know Sydney? I have been fascinated about this city since I was a kid. Before Burj Al Arab there was Sydney Opera House, that white infrastructure that you see in souvenirs every time someone visits Australia. Never have I imagined that I will set foot at this place. I can list down the reasons why I love this city, but it will still boil down to the people (Hello Mate!). 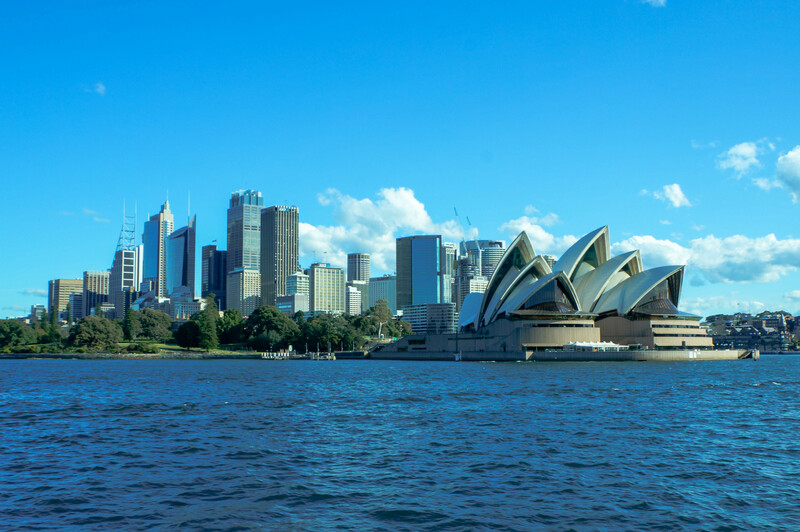 The people from Sydney would make you feel loved, whether you look like them or not. For me, it’s the ideal place where I want to settle down. The city is big, with the people moving around, a lot of good restaurants, nice beaches and many symbolic landmarks. Some tourists think Amsterdam is a city of sin. But in truth it is a city of freedom and in freedom most people find sin. I only spent 48 hours in Amsterdam but I have left my heart there. I did not smoke weed nor entered one of the clubs in the red light district (Please don’t judge me) but it is still on top of my list because this place is full of energy. It’s like the entire city does not sleep or even rest. You see people biking around, smoking weed (yes, it’s legal) in the corner (and still behaving well), chatting while having a glass of beer, people paying attention to art and a lot more, making this city one of the best cities in the world. It’s very liberating. It gives you the freedom that you’ve always wanted. It is considered as the Venice of the Northern Europe, thanks to its beautiful canals which gives the city a romantic ambiance. 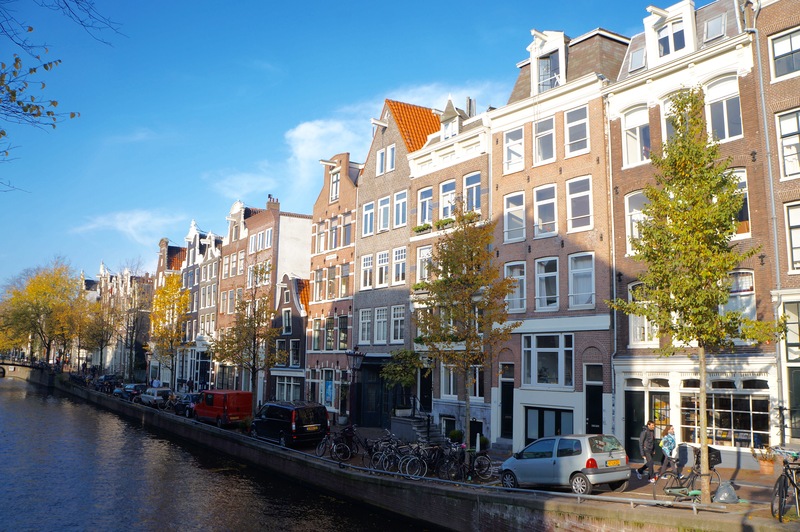 Small-scale buildings, narrow streets, free world coffee shops, people biking everywhere and plenty of art museums – one can’t miss to visit this city when in Europe. I know for sure, I will always visit this city whenever I go to Europe.